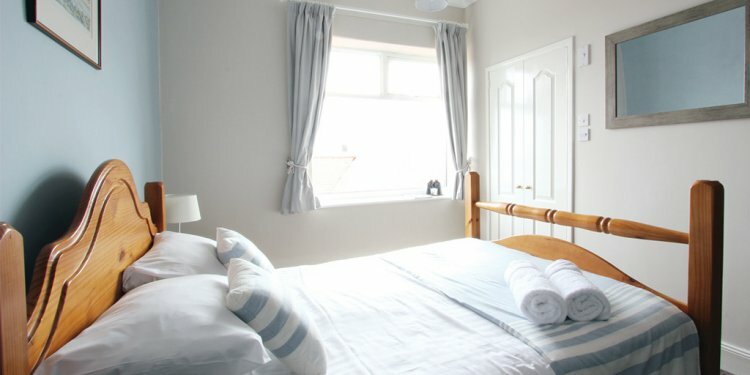 we comfortable en-suite spaces (split shower and bath) - twin, family and a two fold space, that have king sized bedrooms. Spaces are also available for solitary occupancy - kindly ring for details. Thermostatically managed centrally heated radiators. Click the headings below to see information on each room (and click in the pictures to see a larger version). Two solitary bedrooms with bathtub and split shower en collection. Views along the shore to Beadnell. Remote controlled tv with freeview. King-sized bed and just one bed, z sleep and vacation cot offered. Bath and seperate shower en-suite. Views along the coast to Beadnell and throughout the moors towards the Cheviot Hills. King-size sleep with en-suite bath.